Irving Sales was a supermarket assistant manager for seven years before resigning last April. While holding a managerial position, Sales lamented his measly pay. His gross salary may have been around Php20,000, but after all the tax deductions and expenses for his family of five, he only got to bring home around Php10,000 a month. “My position looks good on paper but in reality, I don’t make enough money,” Sales said in Filipino. 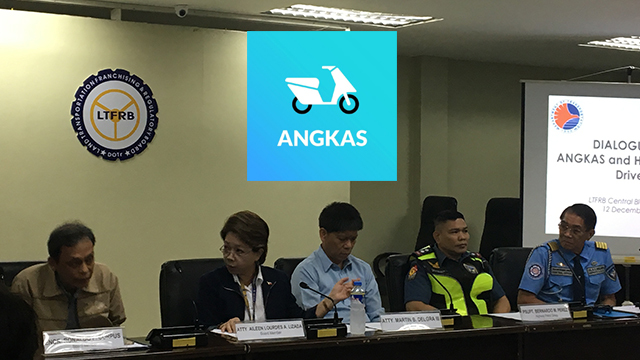 The turning point came early this year when he decided to drive a motorcycle part-time for motorbike ride-hailing app Angkas (or “hitch” in English). Like Uber and Grab, the platform connects passengers to private drivers, only instead of four-wheeled cars, the vehicles used are motorbikes. After work, Sales would serve as an Angkas driver, enough for him to earn Php600 on the side. By April, he had left his full-time job for good. A nine-hour shift driving for Angkas already earns him Php1,500 per day on average or more than Php30,000 a month. “The job helped my family tremendously. I was even able to enroll my kids in a private school,” Sales added. But last November, Sales’ source of living was jeopardized after the Land Transportation Franchising and Regulatory Board (LTFRB) asked Angkas to shut down its operations for lack of business permit. 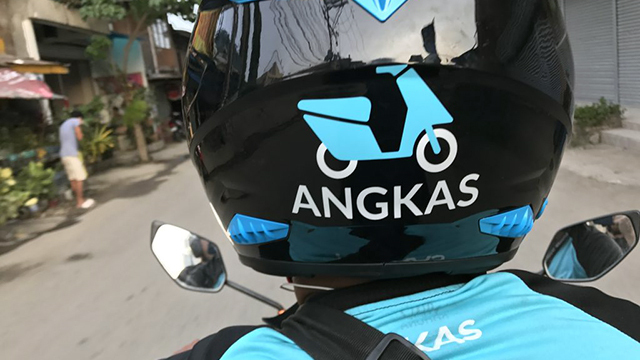 The regulatory body said Angkas cannot serve as a legal mode of transportation since no law supports its business model. Under Republic Act 4136 or Land Transportation and Traffic Code, private motorcycles and scooters cannot be used for hire. The move has put around 15,000 Angkas drivers out of work or without an additional source of income. Angkas Manager Walter Wong said around 80 percent of its drivers work for the company part-time, with the platform servicing around 10,000 rides a week since its launch in December 2016. “That’s why I asked Congress Speaker (Pantaleon) Alvarez that they may want to revisit the law (RA 4136) because this was written in 1964. We cannot change the law, so as much as we want to help you [Angkas drivers], our hands are tied,” LTFRB Spokesman Aileen Lizada said in a dialogue with Angkas and habal-habal drivers on Tuesday, December 12. Invited to the dialogue were representatives from the Land Transportation Office, Metro Manila Development Authority (MMDA), board members of the LTFRB and staff officers of Rep. Cesar Sarmiento, transport committee chairman of the House of Representatives. “So as far as the law is concerned, a two-wheeled vehicle is not a safe mode of transportation. If Congress decides otherwise, then we will just have to enforce that,” LTFRB Chairman Martin Delgra III added. According to MMDA’s data, there have been 76,834 motorcycle-related road crashes since 2014. Several attempts have been made to regulate habal-habal drivers. Since 2008, three different House bills have been submitted seeking to regulate and legalize motorbikes used for transportation. These are House Bill 3726 under the 14th Congress, House Bill 2322 under the 16th Congress and House Bill 2570 under the current 17th Congress. As both parties await a law that would legalize Angkas’ operations, LTFRB held a job fair on Wednesday, December 13, to help the out-of-work drivers. Angkas management said it has also helped “the most affected” partners of the platforms financially. But for most in the sector, they would rather risk getting caught by authorities and continue to drive as habal-habal drivers. Sales admitted that some of the customers he has served as an Angkas driver continue to text him and ask for his services.